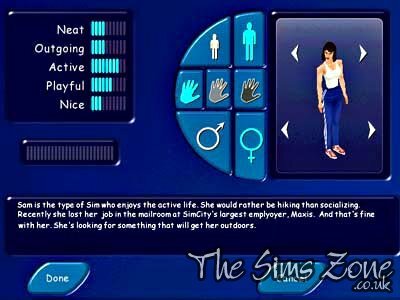 In preparation for our forthcoming review of The Sims 3, this article is aimed for those few people who might have just come across this site and are wondering whether to try this new type of game out and become simmers. It is also for those players who do not mind a trip down memory lane. This history is of what this gaming cultural phenomenon is about. Without this man here, The Sims would not have happened. This is Will Wright, who is the creator of the phenomenon that is The Sims. 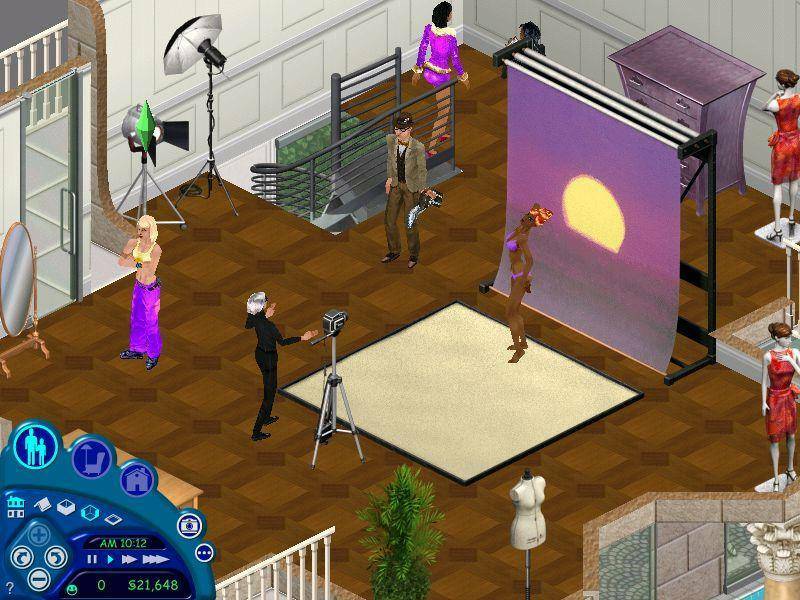 The Sims was originally released nine years ago but had been in development for quite a while longer, waiting for the technology to catch up. Will was already famous in the computer-gaming community for SimCity and has gone on to have a third major hit last year with Spore. 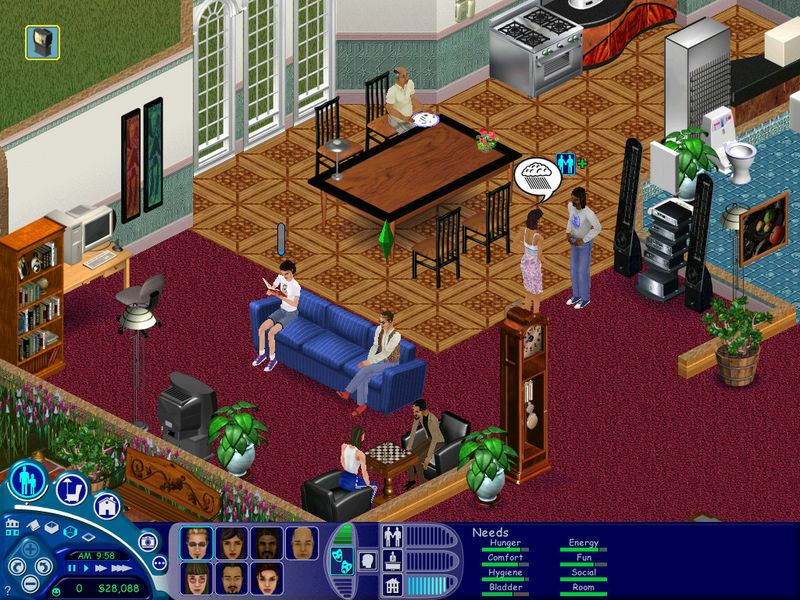 The Sims, which is classed as a strategic life-simulation, was originally conceived as an architecture simulator and with the prototype name of "Dollâ€™s House". This name, however, was soon changed as it was felt this might detract male players from buying it. 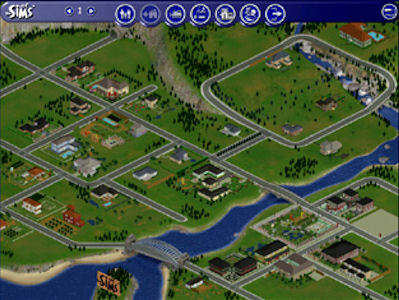 During the game's development in the late 1990s, the focus changed more from the houses to the lives and activities of the simulated people (sims) who lived in those houses in Sim Lane which gradually expanded to Old Town. The player creates these sims, choosing from a variety of heads and outfitted bodies, defining personality with fixed points on sliding scales such as Shy-Outgoing, Slob-Neat, Grouchy-Nice. Although the sims are rendered in 3D, they are displayed dimetrically for the player to lead them through their daily lives living in their virtual house and in time visiting other virtual community lots and venues. The daily life of a sim involves interacting with objects and other sims to see to their daily needs, some of which include hygiene, social, bladder and fun. It is an open-ended game and you decide how to advance them. If you wish to make them successful, you will work on improving their skills and get them to make friends to advance them up the social ladder. You could also choose to kill them in the most gruesome way possible. Popular methods included starvation in a locked room or "death by pool ladder". There are in fact many ways to play The Sims. 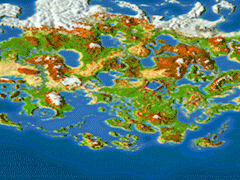 The first version spawned seven sequels all adding new content and gameplay. 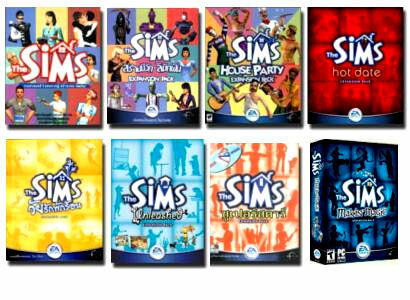 With these expansions, you could get the sims to host parties, go dating downtown, go on vacation, get them to look after pets, become superstars and even learn magic. With some development tools and a little bit of knowledge of some paint software, the players were able to create their own custom content, such as walls, floors, roofs and recolours of various existing objects. 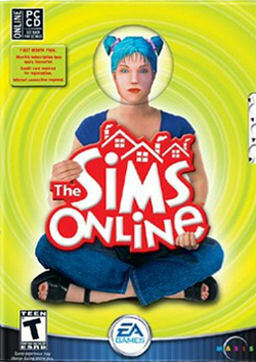 This is what made The Sims so popular. Everyone could add their own bits and pieces to the game. It is also what made fansites like this one a place to visit for new stuff. 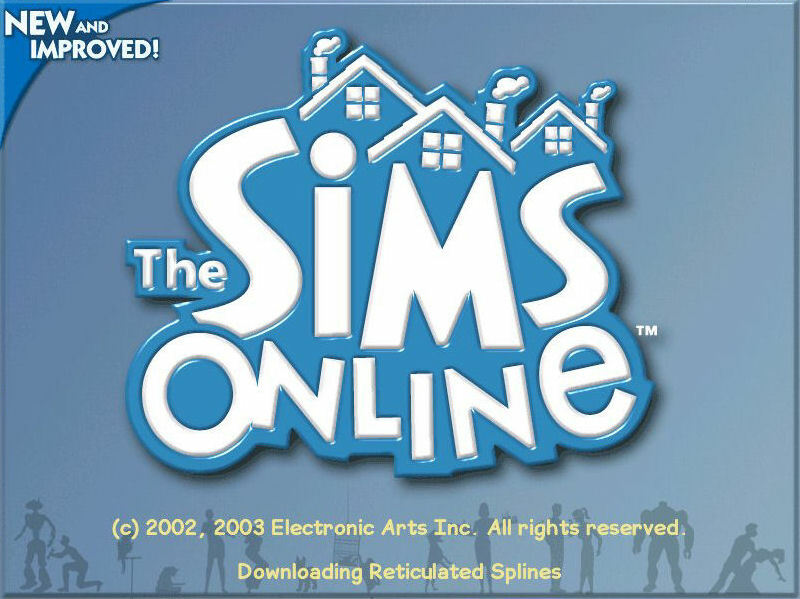 With The Sims already being a runaway success, the next route that EA-Maxis took was to try and take the winning formula online. 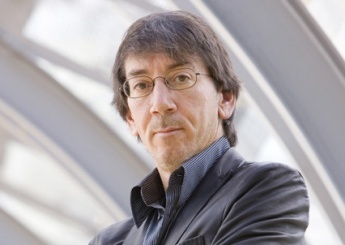 Will Wright and a team of developers created The Sims Online (TSO), which although it originally had a broad following was not the runaway success that EA-Maxis were convinced that it would be. 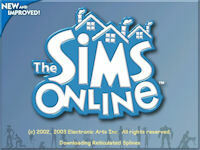 However, it failed to get the anticipated support from the sims community. It did not even get worldwide distribution, boxed copies were only being distributed in North America and Japan although digital downloads did mean all of the world could get it. I was one of the early players of TSO and I found it to be addictive for over a year. The interaction with real people added something special and I still have friends now who I met there. Although similar to the offline game in appearance with skills to be gained and needs to be seen to, it encouraged the players to work as a group as bonuses were earned from a lot of people doing things together, ranging from skilling to making money. Also, various money-making games required more than one player and each position needed different skills. As a simâ€™s skills decayed in time, it was almost impossible for everyone to be skilled in everything. Therefore, a lot of sims became specialists. My primary specialities were logic and charm, both in demand for "Maze", a moneymaking minigame within the TSO world. Although there were some updates, TSO did not get enough constant support from EA. Forums were farmed out to some external company, there was very little internal policing, inefficient handling of bugs whereby players lost valuable items things but they clamped down overzealously on those who had found exploits. The biggest flaw, however, was that there was no way for people to upload their own custom content as they could with its offline relative as that is what made The Sims to be a success. Not allowing it was what caused The Sims Online to fail. As newer online worlds came out, such as There, Second Life, World of Warcraft and Star Wars Galaxies, a lot of people left TSO and many cities became ghost towns. New features were introduced Some features were brought in to try and stop the exodus. This novelty soon wore off and numbers still fell. A major attempt to kickstart the game came about in 2007, new objects could be introduced and it did get a bit of a following. However. 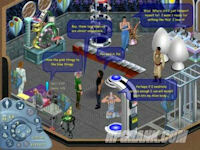 on the eve of the release of a major upgrade, which was believed to make the gameworld look more like TS2, the game was cancelled without warning by EA senior management. All attempts to try and save it or reverse this decision failed. The TSO servers were finally closed in April of 2008. Will Wright sadly looked back on TSO as a "failed experiment" but did say that he was sure that The Sims would be online again at a later date. Written at 03:33 on Tuesday 9 June 2009 by Andy.